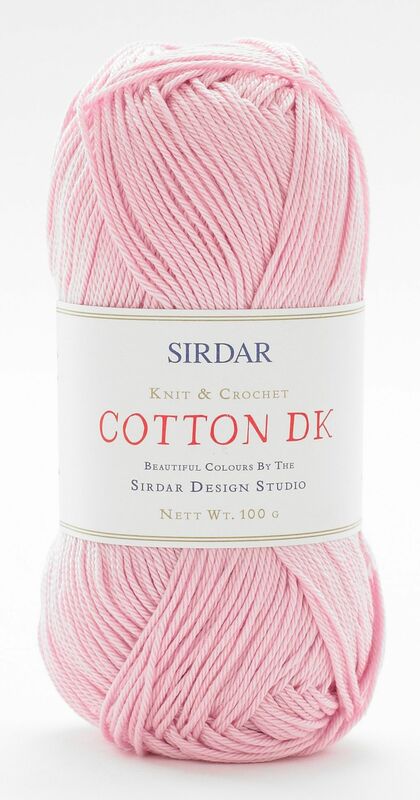 Sirdar Cotton DK is a beautiful 100% cotton yarn with a fabulous mercerised sheen, and softness designed to create crochet with incredible stitch definition. The yarn comes in a range of 18 colours created by the Sirdar Design Studio including the perfect mix of classics and designer shades. This book has 18 inspiring crochet designs for women in bold summer colours. There are stylish tops including slash neck tunics, floral lace detailed sweaters, delicate trellis pattern cardigans and a stunning shaped-edge skirt with a delicate button fastening. If it's accessories you're looking for, there are 4 fabulous bag designs including stylish shoppers, a small button-down bag and a circular bag with a crochet flower. Crochet creates the most exquisite shawls and we have designs with a bold flower motif to make in gorgeous, three-colour combinations or in stylish black and there's an easy-to-make lattice lace wrap to create in any of our gorgeous colours. These designs and colours will have you feeling fabulous all summer long. To help make life incredibly easy, we have included an 8 page 'How to Crochet' guide to help you with all the basic stitches and the Sirdar knitting helpline will also help with crochet queries too. 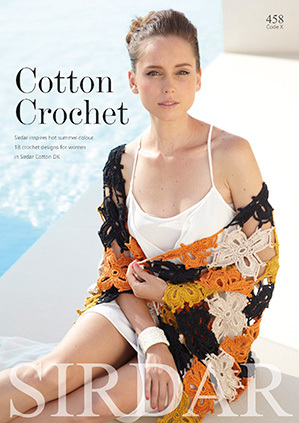 Sirdar inspires stylish crochet in hot summer colours.